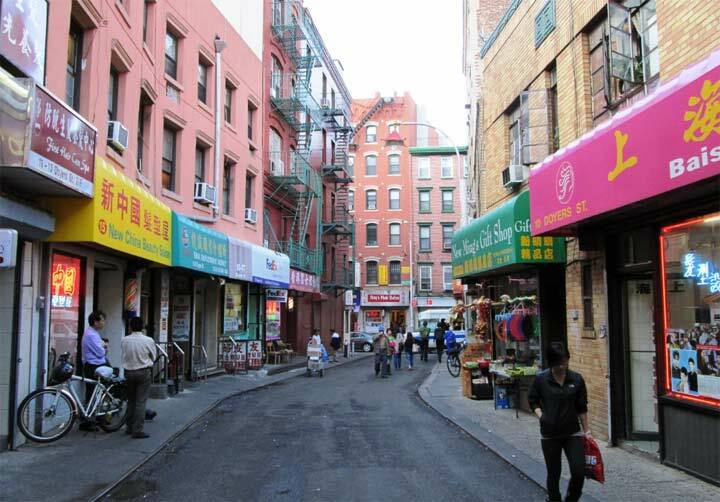 It’s 1888 and steam-powered elevated trains and horsecars were the primary means of transportation on the Bowery. 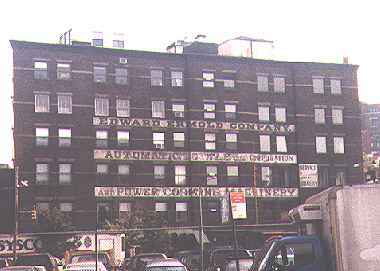 In those days, the Third Avenue El ran down each side of the Bowery and would do so until 1915, when it was rebuilt and placed in the center of the street. 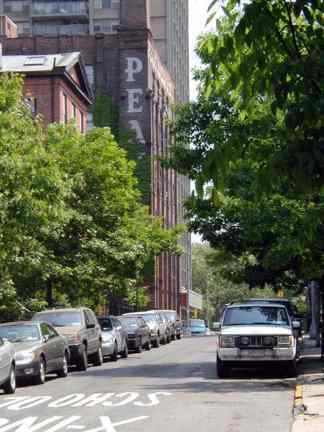 It met its ultimate demise in 1953 (the Bronx section hung on until 1973). 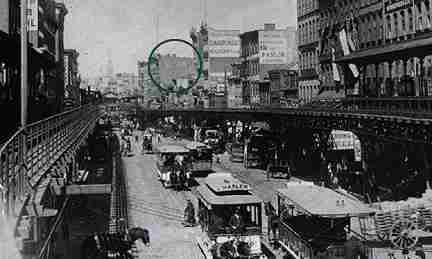 Back then the Coogan Brothers (green circle) had a dry goods emporium in the area which was advertised on the building circled in green. 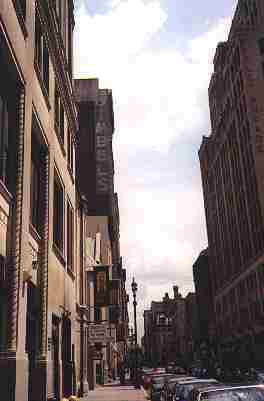 The sign saying “Carriage” on the building in front of it coule be read as late as the 1970s. A new building has since obscured it. 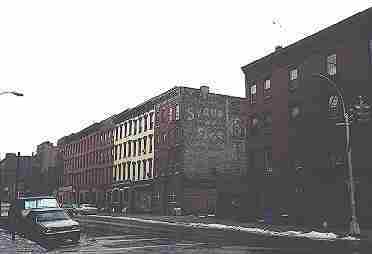 A 1998 view of the same building, 110 years later, shows “Coogan” still relatively clearly! 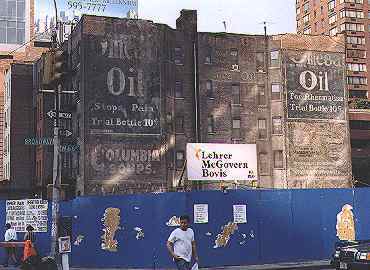 1910s-era ads for Omega Oil, an all-purpose liniment sold until the early 1920s, and Columbia Soups are featured on this building near Lincoln Center exposed by construction in 1994. The photos have since been covered by a new building. 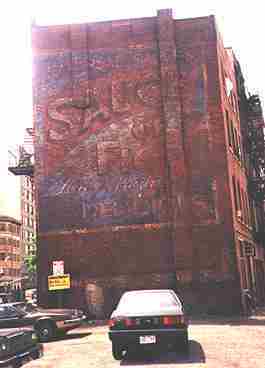 Look closely on this building at Broadway and South 6th Street for an ad for what must have been one of the tasty treats of the late 1800s… Universal Sauce’s Sauce Of Figs. “Satisfyingly delicious”, the sign says. I’ve learned that this sign doesn’t date from the 1800s at all, but it’s a convincing reproduction made for a movie shot earlier in the 1990s. “Sauces” and syrups” of figs were sold as laxatives in the late 1800s. By 1999, this sign had finally been painted over. 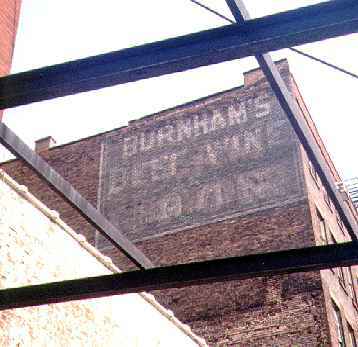 The real “Figs” ad on which the above sign was based is located at Greenpoint Avenue and Franklin Street in Brooklyn. 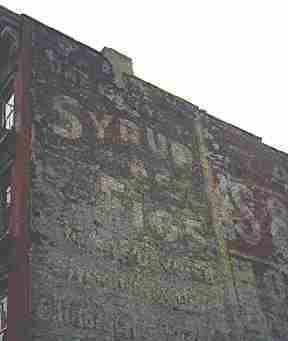 “Syrup Of Figs” is still clearly visible though the manufacturer’s name is now illegible. 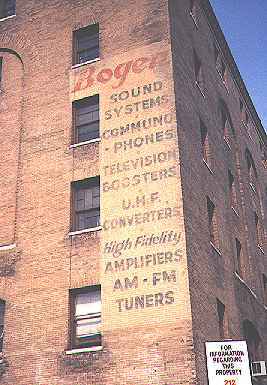 Closer view of the “Figs” ad. Another ad of the same age is adjacent to it, but time and weather have made it completely illegible. 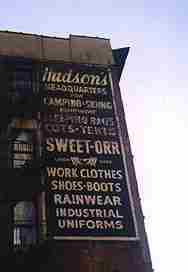 Until just a few years ago, Hudson’s was an army-navy store on the corner of Third Avenue and Eleventh Street in the East Village. This sign on the corner reminded the neighborhood of its presence for decades…and will continue to remind the neighborhood there was once a Hudson’s for decades to come, it seems. 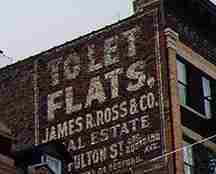 This sign on Middagh Street just off Fulton (now Cadman Plaza West) in Brooklyn advertised James Ross’s real estate office at Fulton and Nostrand. “To let flats” means apartments are available. Wonder what the rent was when the sign went up? 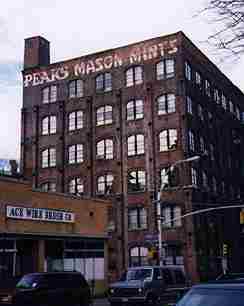 Around the corner from the previous sign on Henry Street this giant handpainted sign announced the presence of the Mason candy factory. Even though Gimbels closed its doors nearly twenty years ago, it’s still advertised on West 32nd Street in midtown! Forgotten Fan Steven Scharff: Photo on the bottom of the page labeled “Burnham’s Beet Wine” should be listed as “Burnham’s Beef Wine”. “Beef Wine” was a patent medicine popular in the 1900’s, comprised of port wine fortified with beef extract and Iron. Not unlike the tonic “Hadacol” that was so popular in the Deep South in the 1940’s which was Iron and a Vitamin B complex in a 12% alcohol base.